Authorities responded to an "incident" Thursday that involved a Metrolink commuter train and freight train near Rialto, according to police. The incident was reported at 200 S. Lilac Ave. A Metrolink train heading east from Los Angeles toward San Bernardino collided with a BNSF train about a half-mile from the Metrolink station in Rialto at about 11:30 a.m., agency spokeswoman Joanna Capelle said. 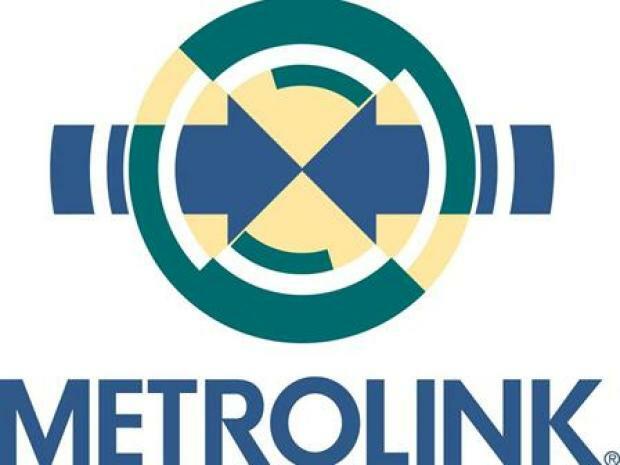 "Although this incident occurred at a low speed, any incident on the Metrolink system is unacceptable," Metrolink Board Vice Chairman Keith Millhouse said. "This incident will be fully investigated to determine the cause, and measures will be taken to ensure that incidents like this do not happen again." A passenger in the second Metrolink car explained what happened when the trains sideswiped. "It just started shaking a little bit," said Carina Salano. "Then, it smelled like (something) burned. It wasn't that big of an impact. I thought we ran something over." The trains sideswiped each other and both remained upright on the tracks, Rialto police Lt. Joe Cirilo said. Police said five people were hospitalized. "There are no severe injuries. There are some complaints of pain," Cirilo said. A metrolink train hits a freight train in Rialto. Watch as the news developed throughout the 12 o'clock hour Thursday. BNSF spokeswoman Lena Kent said the 102-car freight had almost made it onto the side track when the Metrolink struck a flatbed car hauling iron. There were 15 passengers and crew on the Metrolink train and three on the freight train, Capelle said. Kent said nobody aboard the freight train was injured. Other commuter trains could not get through the blocked tracks in Rialto, about 60 miles east of Los Angeles. Buses were taking commuters along the line between Rancho Cucamonga and San Bernardino, Capelle said. A woman explains her experience of the metrolink train colliding with a freight train in Rialto. The Metrolink train was identified as eastbound No. 306, which left Union Station in downtown Los Angeles at about 10 a.m. The incident occurred just west of the Rialto station. The incident follows a head-on collision between a commuter train and a freight train that killed 25 people in Los Angeles on Sept. 12. Investigators are attempting to determine what caused the trains to come into contact.